Our Basic Level Slides are ideal for companies that want to present their data or showcase their products in simple, yet elegant ways, but may not have the budget for several slideshows or elaborate slide design. We take the information that you provide and create a presentation that you can take to meetings without the worry of not providing enough information or leaving your clients with questions about what it is you’re presenting. 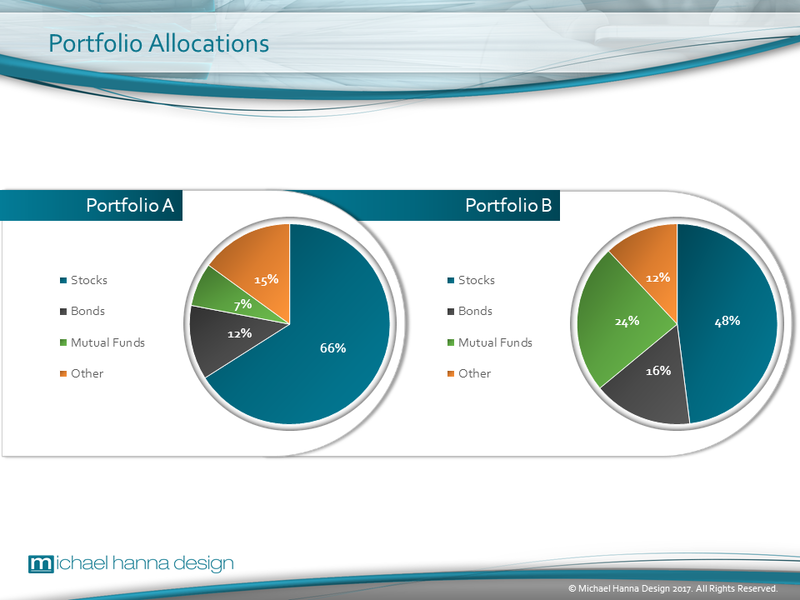 We can create a slide template for your data or product offering that can be used again and again for your presentations. Your clients and investors will come to recognize your slideshows through the images and design that have been carefully selected by our team. Once you approve the presentation, we’ll put the finishing touches on each slide, making sure there are no errors or omissions. Once everything is done, you’ll have a straightforward slideshow that you can show to every client that you meet with or potential partner that is interested in your company. 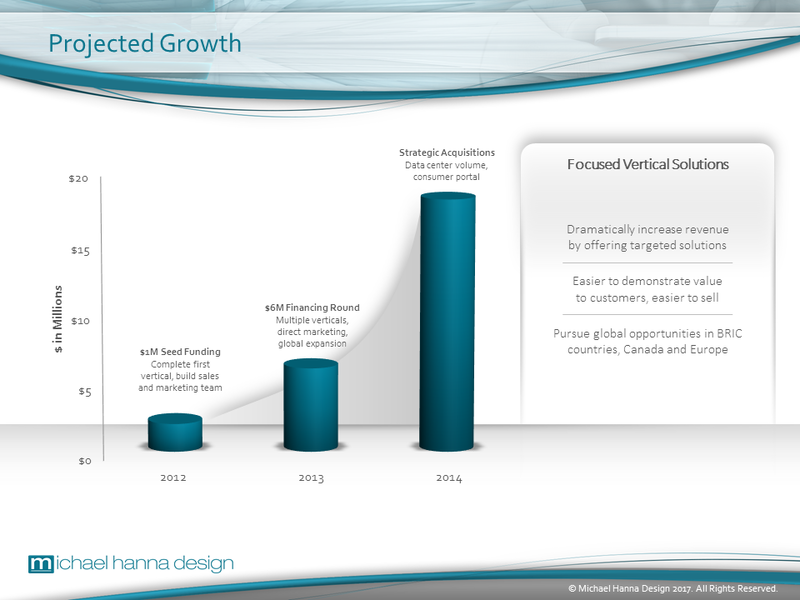 At Michael Hanna Design, we understand that you may not have the budget for custom animation or intricate design. Our Basic Level service provides more design and iteration time than our closest competitors, guaranteeing you get the most for your money. If you’re ready to update your company’s image, but want to start out with our Basic Service, please take a moment to contact us today. 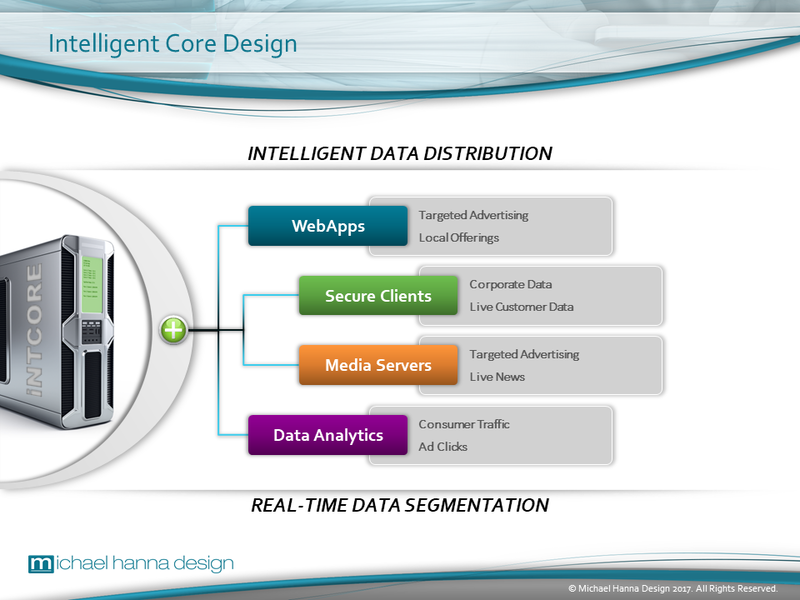 Our dedicated team of design experts will craft your existing content into a modern, professional presentation. Your clients will recognize that you took the time to have a professional slideshow created so that you could expand the reach and influence of your business. 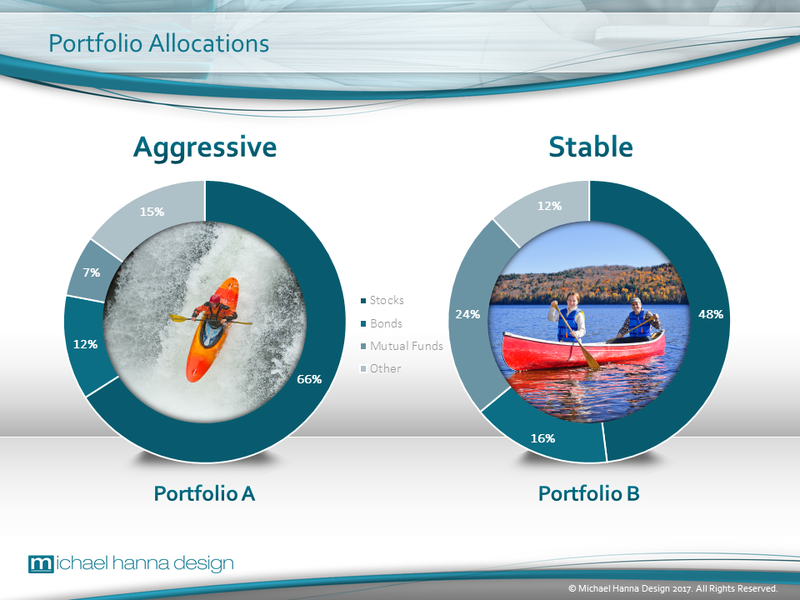 For those companies that are seeking a balance between compelling visuals and end-user friendliness, our Standard Level Slides can provide both while staying within your budget for slideshow creation. If you are attending a trade show or industry conference among rival companies or potential investors, it is essential that your products and/or services are showcased in a compelling, engaging, and memorable presentation. By presenting a visually-appealing and straightforward slideshow, you can stand out among the competition and attract potential investors with your commitment to quality. 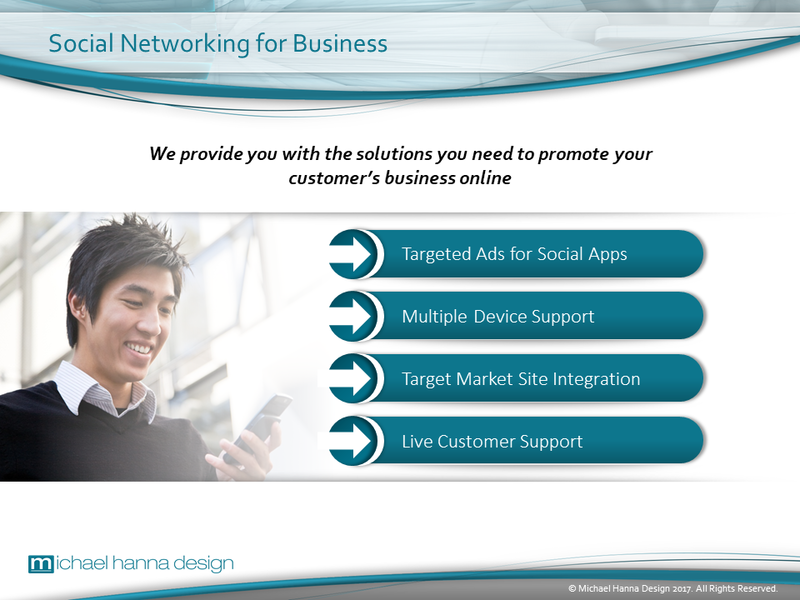 Michael Hanna Design can help you create those appealing visuals, while maintaining the straightforward approach that keeps customers or investors interested in your company and doesn’t leave them confused. If your company relies on a process for providing a service that betters people’s lives, or a product that eventually ends up in consumer hands, it can be extremely valuable to outline that process in a slideshow presentation. Our proven, methodical approach to presentation design ensures that your customers will feel more informed and excited about your offering. 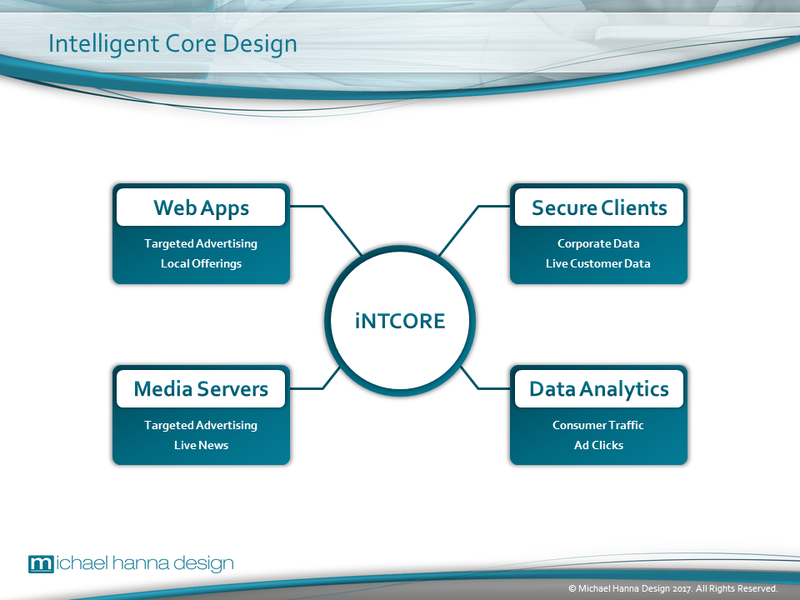 Our slides are created to provide visuals that stick in a person’s mind and text that contributes valuable information, leaving no mystery as to what your company can do and what your mission is. 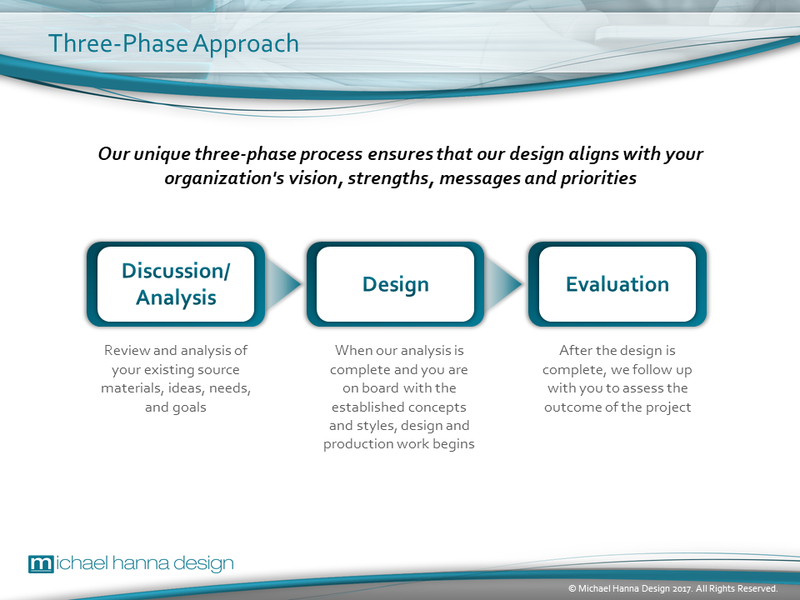 Our Standard Level Slides can be the perfect upgrade for your business presentations, so if you are ready to take that next step and engage your customers in new ways, contact Michael Hanna Design today. As a company with a complex product or infrastructure, it can sometimes be difficult to explain to investors what it is you’re offering or selling. You put together product descriptions and data sheets, but your customers still come back with more questions. 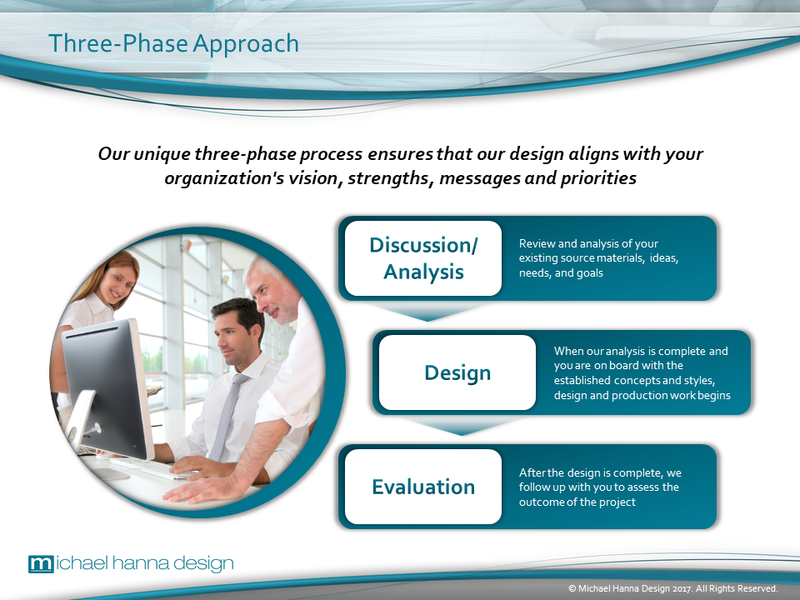 At Michael Hanna Design, our Premium Level Slides can help companies achieve maximum visual impact through dynamic conceptualization and illustration, and can illustrate your complex product or system architectures with easy-to-follow slides. We can also include advanced animation in your slides that explains your product or service in a straightforward, easy to digest manner. By outlining the steps that your company takes to complete a process or manufacture a product, your investors can gain a better understanding of what exactly it is you do and how you’re striving to succeed, reach a greater audience, and outpace the competition. Dynamic visuals can also grab people’s attention in a public setting, such as a trade show or industry conference, and prompt them to learn more about your business. Your slideshow should bring people in and hold their attention, keep their interest, and leave them informed once it’s done. 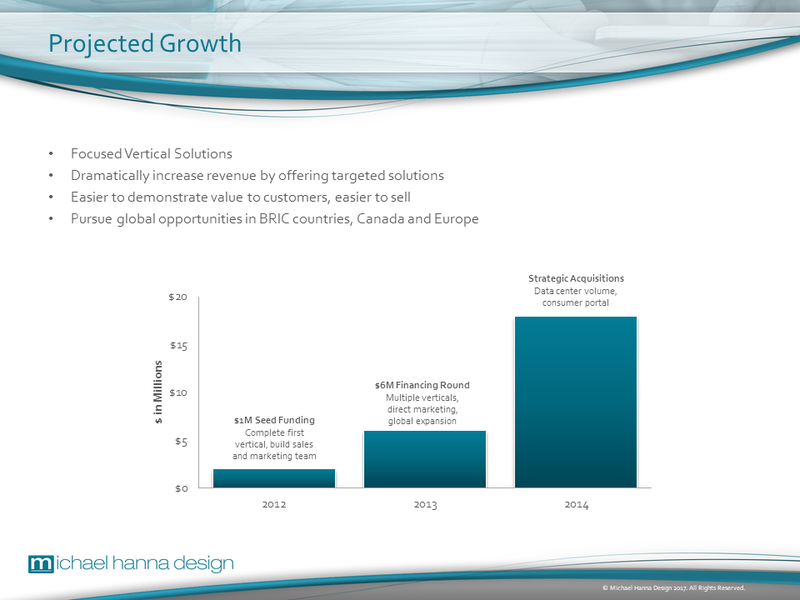 If you’re allocating more company budget for visuals and slideshow creation, contact Michael Hanna Design today. 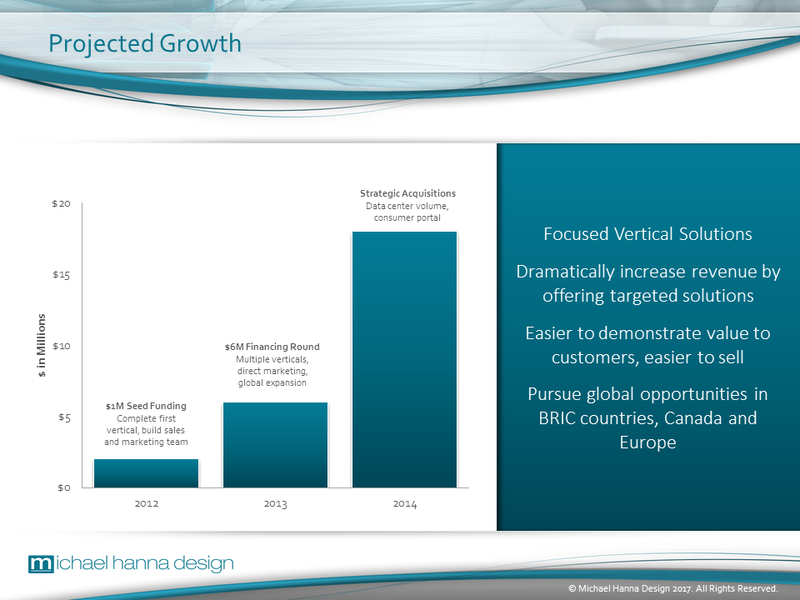 Our Premium slides will prove to be the very best, and you’ll be able to take it to investor meetings, company events, and industry trade shows, playing it for every audience that wants to know more about your company and how you plan on growing your influence and your customer base. 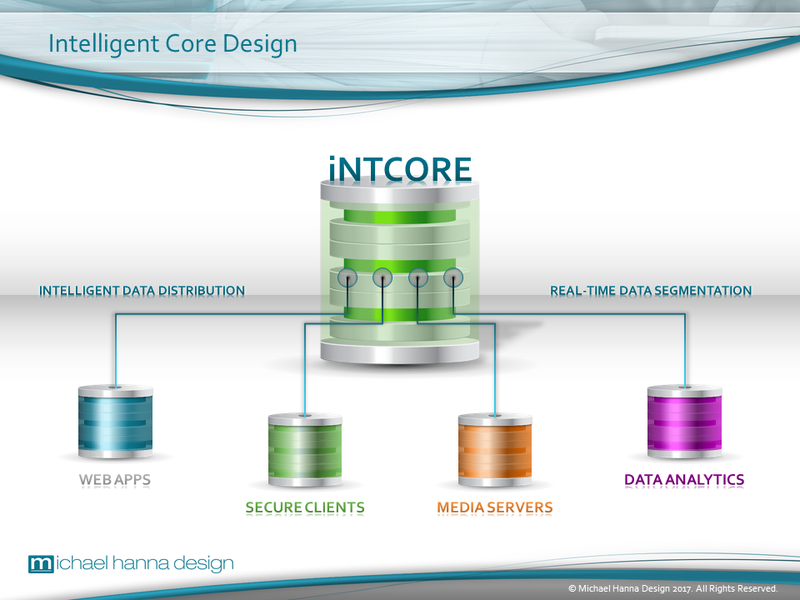 Whether you have an existing slideshow that you would like to upgrade or are starting from scratch, Michael Hanna Design can provide all of the professional conceptualization and design expertise you’ll need for a memorable, stand-out presentation. 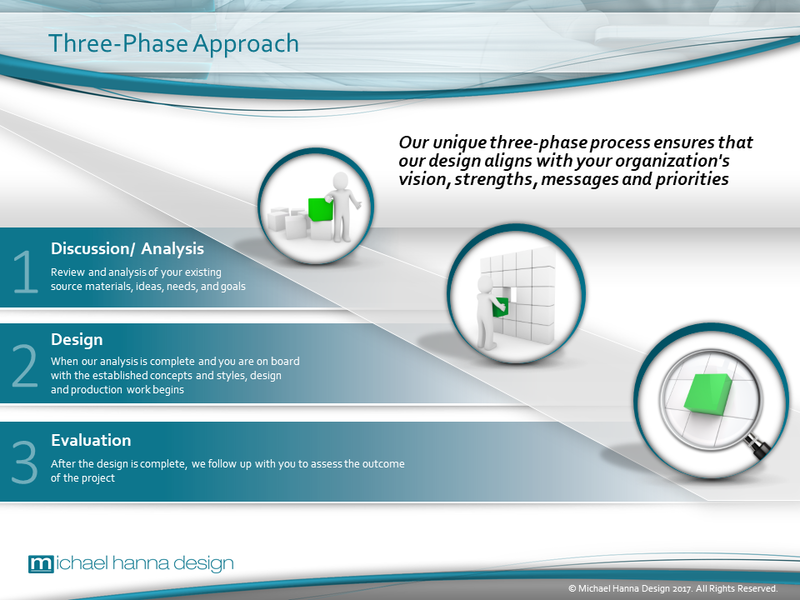 Michael Hanna Design offers three levels of PowerPoint/Keynote template and slide design service to meet all your presentation needs. Below is a side-by-side comparison illustrating our different levels of service. 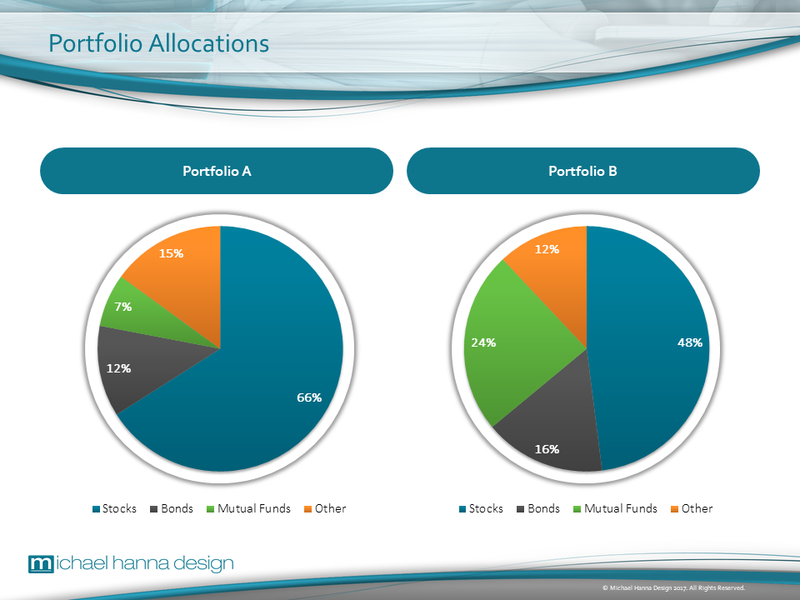 You can mix and match levels to maximize your budget and focus your resources where they’re needed most. 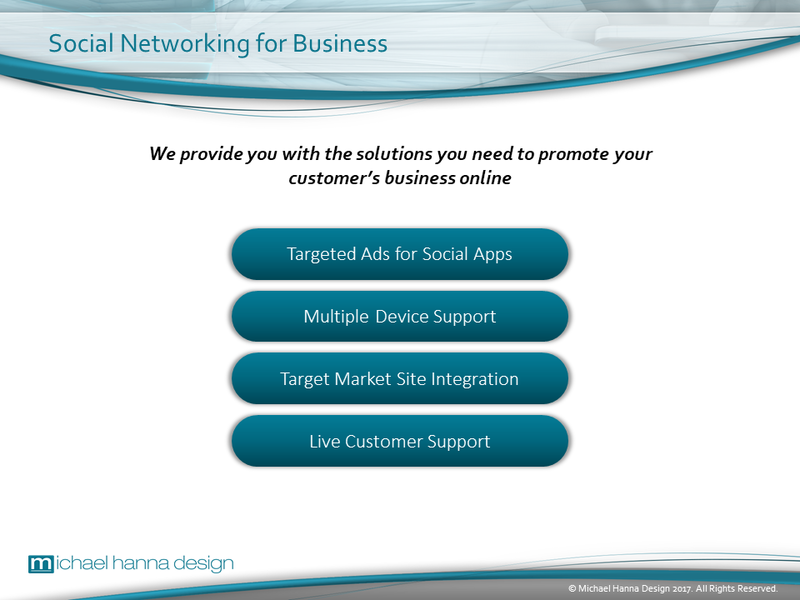 Our Basic level of presentation design is ideal for companies that strive for elegance through simplicity. Our Standard level of presentation design is ideal for companies seeking a balance between compelling visuals and end-user friendliness. Ideal for companies seeking maximum visual impact through dynamic conceptualization and illustration of complex product or system architectures. 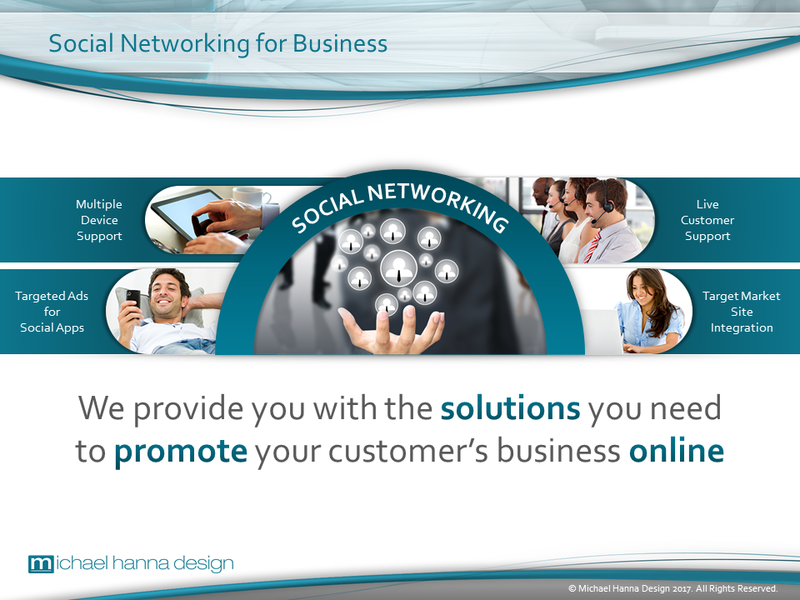 Contact us today to learn more about our professional presentation design services.